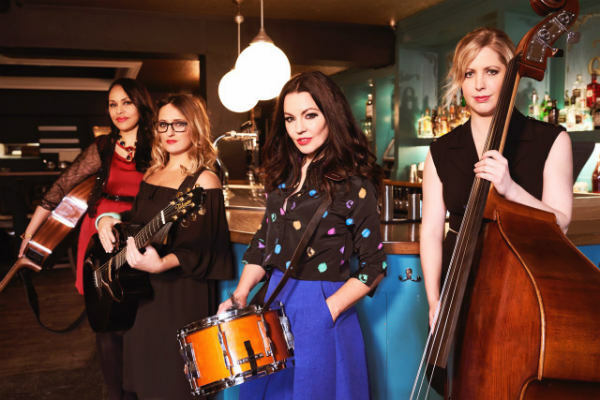 The Uptown Girls are a four piece acoustic roaming band comprising of two acoustic guitarists, one double bassist (upright or acoustic) and a drummer (snare played with brushes). 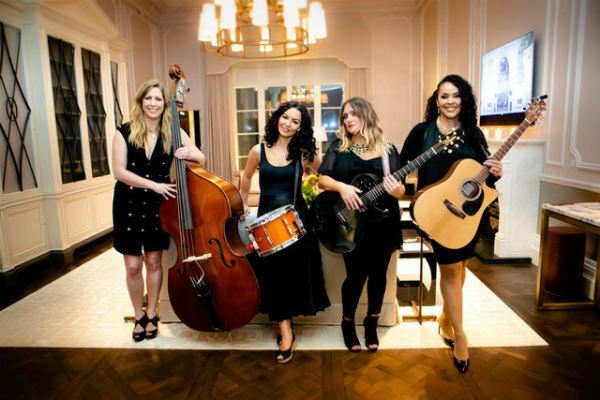 Hailing from as far as Toronto all the way back to London, The Uptown Girls are the ‘only all female, UK four piece covers group with not one, but THREE lead vocalists. 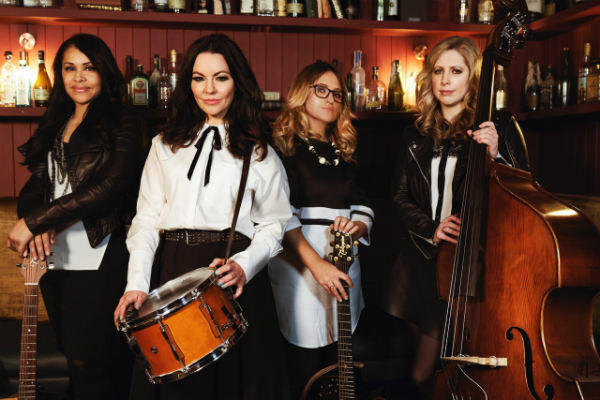 Serving up a veritable feast of vocal stylings spanning most genres, the girls travel the world playing songs of every era in their own unique way. 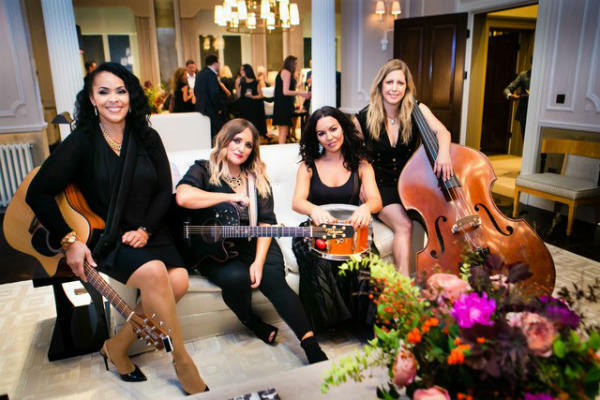 Four talented musicians with decades of experience between them, the girls have a special, natural chemistry that will make you laugh, dance and sing your way through your event. Roaming or staged, mic-ed or fully acoustic they will interact with your guests effortlessly leaving no one behind. 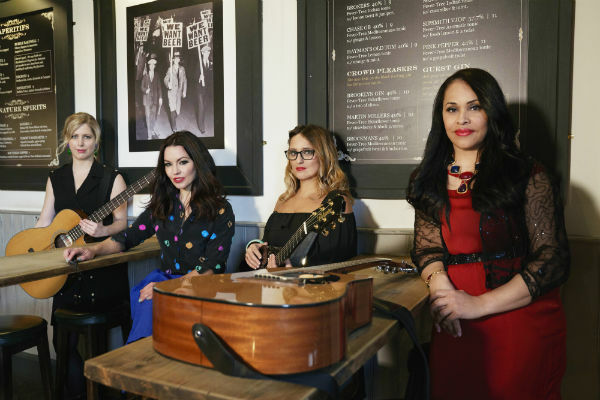 The girls have performed all over the world with one holding down a permanent seat in the west end performing in Aladdin the musical, she has also performed in The Lion King, Wicked, Les Miserables & Phantom of the Opera. 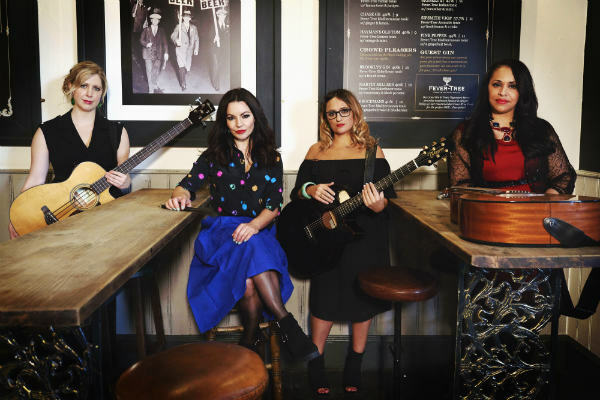 The rest of the band have all been individually signed artists, touring the world playing original music at various festivals and sharing the stage with artists such as Delta Goodrem, The Damned, Sheila E, The Stereophonics, Jocelyn Brown and many more. 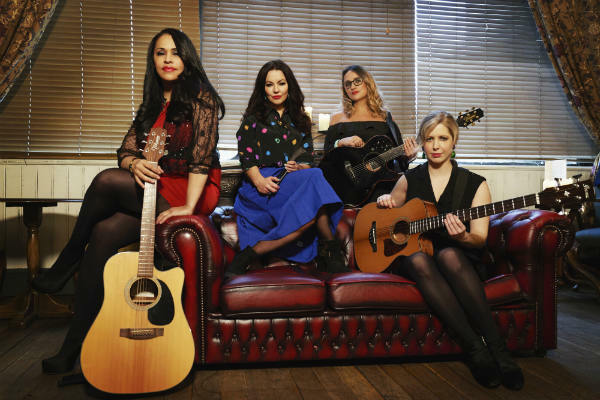 Collectively, they bring an experience that is mash up of rock and roll, soul, R&B, country and pop. 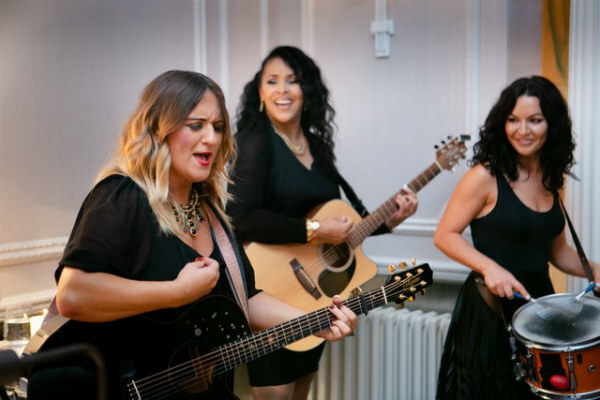 The first all female group we’ve booked and they blew everyone away! Will definitely be booking again. Four wholesome and empowered women who can really play!! Just what the world needs. I LOVE your music! Was late to a meeting because of enjoying you so much! X. Truly versatile in so many genres of music from the past 50 years, yet all with in their own inimitable style.